Inthe years of youth, no one has been confused. In a silent night, how does aperson send his heart sour? Some words do not export, how can we express it?Can you read alone your story? If only I could have a guitar at hand, I couldpluck out the hearts that no one could confide in with my fingers, or feel sador lonely or happy or angry. I could taste the finger-tips and spins with you.A good guitar plays delicate, graceful and crisp melodies with its perfectsound to soothe and comfort you, just like a bosom friend talking with you, andall this, as long as there is Matthew guitar. Matthew guitar takes the aim of building themost professional instrument with the most professional heart, and makes thebest guitar for guitar lovers. 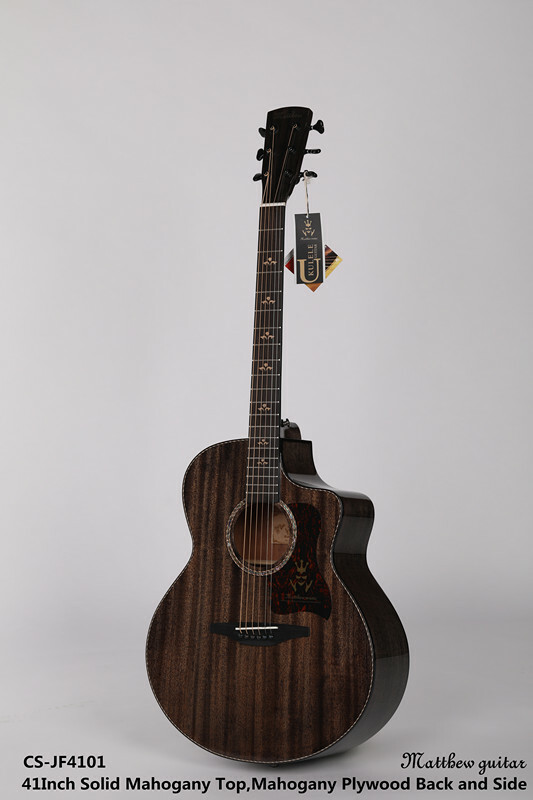 As is known to all, the selection criteria of agood guitar are the advantages and disadvantages of materials. 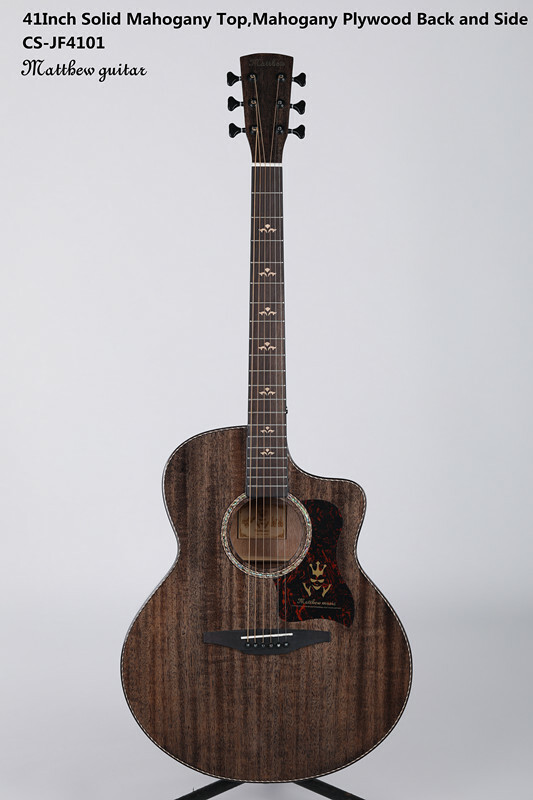 Matthew guitarhas always been committed to making the guitar with the best wood. In the mostimportant drying process, Matthew guitar is not afraid to waste time. 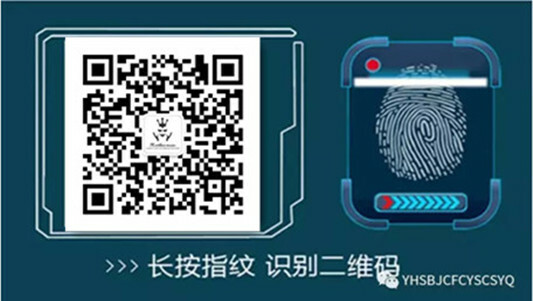 Eachplate must undergo more than one month's drying technology and must pass thehighest standard aging test before it can be used. Secondly, in terms ofdesign, Matthew guitar strictly follows the aesthetic principle and hasscientific proportion of top, waist and bottom. Both the body contour and thehead design of the guitar are well versed in the classic way. 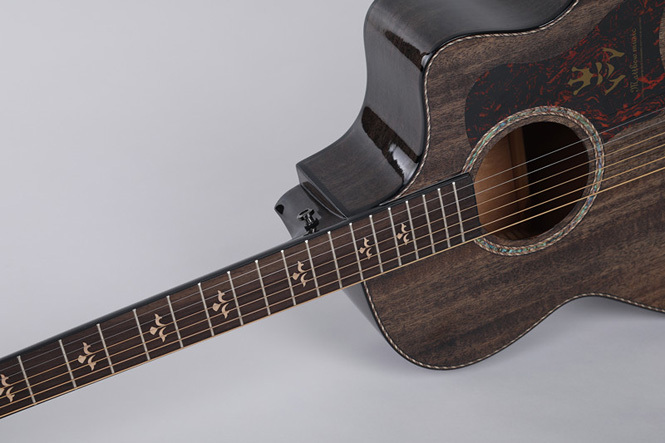 In terms ofcraftsmanship, all Matthew guitars are assembled by hand. The superb artisanshave carved every detail. 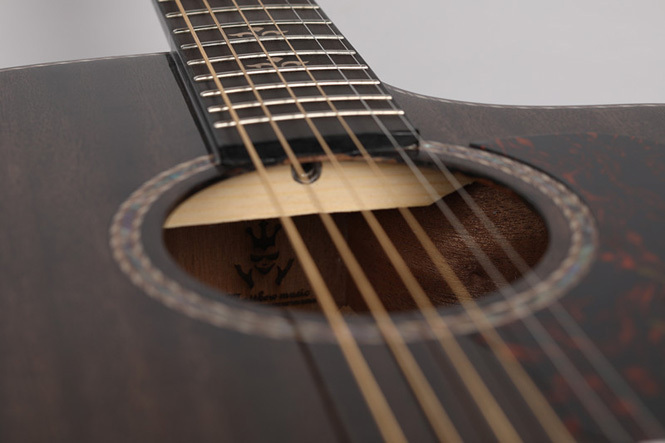 Every Matthew guitar is the most perfect work.Wherever you see it or don't see it, Matthew guitars are crafted to make everyMatthew guitar that is held in the hands of a player truly beautiful andunique. Agood guitar is in the hand like a sword in the hand. 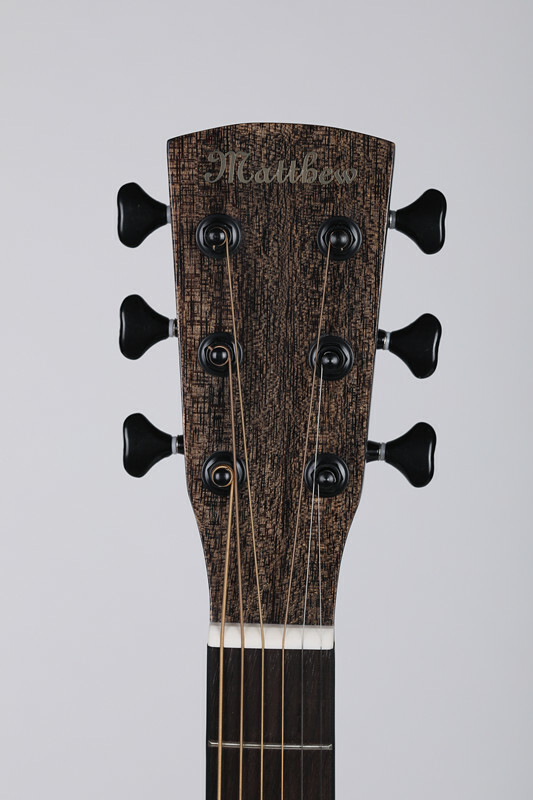 Matthew guitar, with its puretone color, walks in all kinds of sound fields of high-pitched middle tone andbass. It is omnipotent, allowing the player to pop all kinds of music styles atwill, or taciturn or manic. 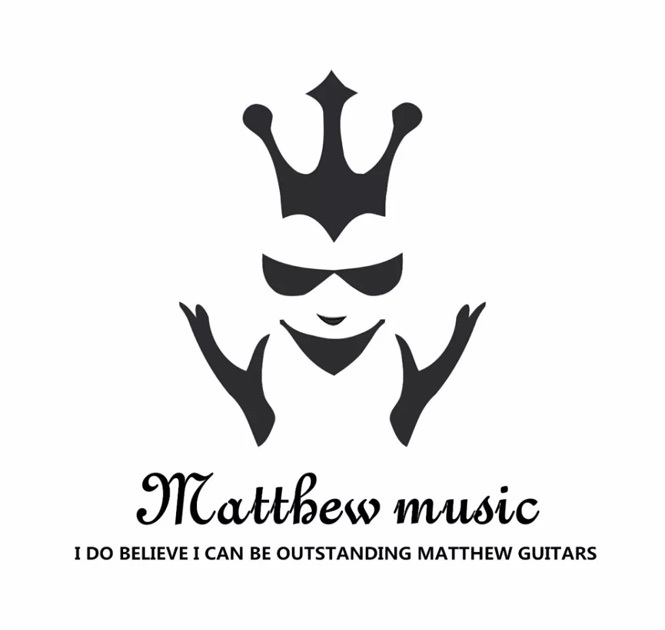 Just like the LOGO of Matthew guitar, you are theprince crowned in music. You use your finger tips to do whatever you want inmusic. Inyour life, how can you walk along without a companion, how can you not have aconfidant? Matthew guitar is your lifelong companion. When you are sad, it willbe there to sing softly and accompany you through loneliness. When meeting alover, it can help you play out the most beautiful romance in the world andconquer the lover's heart. When you're happy, play a promo on Matthew's guitarand share your happiness with everyone. When you're upset, hit Matthew on theguitar and vent your feelings! Come on, take your Matthew guitar, let your heart out, and go away!